Rise Nation also swept Splyce earlier today. Championship Sunday is officially underway at the 2018 Call of Duty World League Birmingham Open, and fans have already seen some crazy matches in the losers bracket. Top teams like Red Reserve, eUnited, and UNILAD were sent home with disappointing finishes before the winners bracket action even began on Sunday. But now, the winners bracket semifinals have wrapped up, as only a handful of teams remain to fight for their share of the $200,000 prize pool in Birmingham. Rise Nation made quick work of Splyce, while Luminosity won a five-game series over OpTic Gaming. Here are the results from the championship winners bracket semifinals at the 2018 CWL Birmingham Open. The defending champs began Sunday with a statement win over Splyce. Rise opened the series with a 250-186 victory on Valkyrie Hardpoint—Peirce “Gunless” Hillman led the lobby at 34/23, while Anthony “Methodz” Zinni also added 30 kills. Splyce held a late lead on Sainte Marie du Mont Search and Destroy, but Rise made the comeback to take map two 6-5 behind Tommy “TJHaLY” Haly’s 11/7 performance. With a 2-0 series lead, Rise shut the door on Splyce with a 4-2 win on Flak Tower Capture the Flag. Daniel “Loony” Loza went 25/14 as Rise sent Splyce down to the losers bracket—Splyce are the last remaining European team at CWL Birmingham. 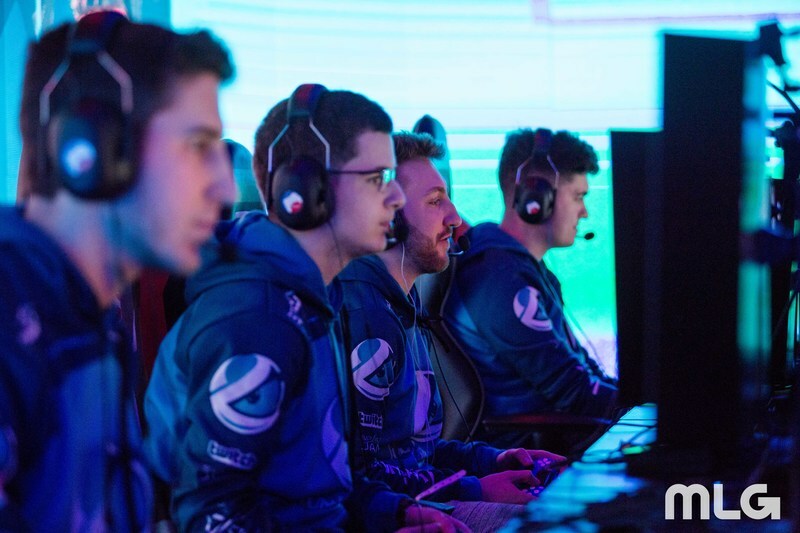 These two teams also faced off against one another in the winners bracket semifinals at CWL Atlanta—Luminosity convincingly won that series 3-0. Although the scoreline was different today, the end result was still the same, as Luminosity won 3-2. OpTic kicked off this matchup with a 250-219 victory on London Docks Hardpoint. Ian “Crimsix” Porter dominated the kill feed, going 41/30, and Seth “Scump” Abner also contributed 35 kills. But Luminosity bounced back with a 6-4 win on London Docks Search and Destroy, as Sam “Octane” Larew went 11/5. Jordan “JKap” Kaplan then took over Ardennes Forest Capture the Flag, as his massive 32-kill performance led Luminosity to a 5-0 victory in map three. OpTic responded by taking their second Hardpoint of the series in convincing fashion, as they won Valkyrie 250-103 to force a decisive game five. But Octane had another strong performance on Valkyrie Search and Destroy, and Luminosity secured the 3-2 series win with a 6-1 victory in game five. Rise Nation will face off against Luminosity in the winners bracket finals later today, while Splyce and OpTic will now have to battle through the losers bracket in Birmingham.